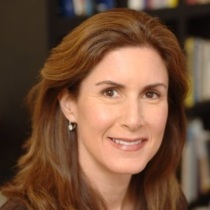 NEW YORK: Nancy Turett, who founded Edelman's global health practice in 2000, will leave the agency to start her own consulting practice. She will also work as a part-time senior counselor for Edelman sister agency Zeno Group and its clients. Prior to founding the firm's global health practice, Turett led Edelman's New York health division from 1994 to 2000. She also served as chair of Canada and Latin America from 2006 to 2009. Edelman promoted Kym White to succeed Turett as global chair of its health practice in March, reporting to Daniel J. Edelman Inc. vice chairman Alan VanderMolen. Turett was then named chief strategist for health and society. At the time, VanderMolen said Turett “wanted to look more broadly at health within the context of society and work on some NGO relationships, policy themes, and issues, in addition to doing some one-on-one senior client work.” She has worked at the firm for 23 years.